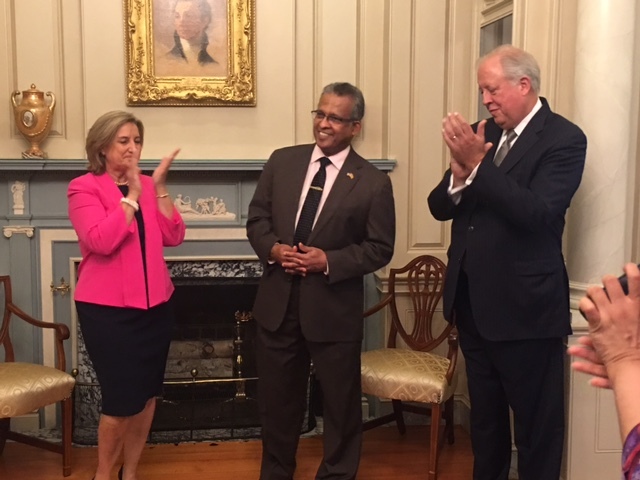 Farewell for Ambassador Prasad Kariyawasam in Washington D.C. 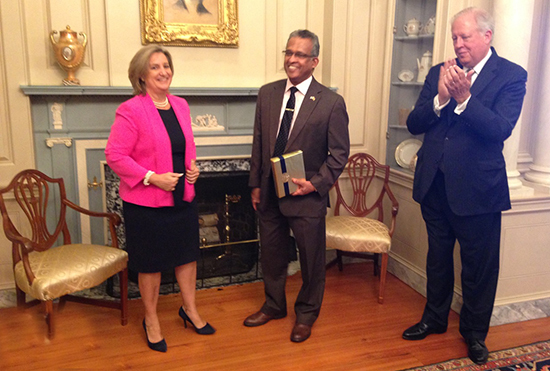 Though I wind up as Ambassador to the USA, I want to say that I will forever remain an Ambassador for ‘U.S.-Sri Lanka relations.’ I believe there is so much that our two countries, though geographically distant, can achieve for mutual benefit”, Ambassador Prasad Kariyawasam said addressing a distinguished gathering at a farewell reception hosted by the U.S. State Department this morning. 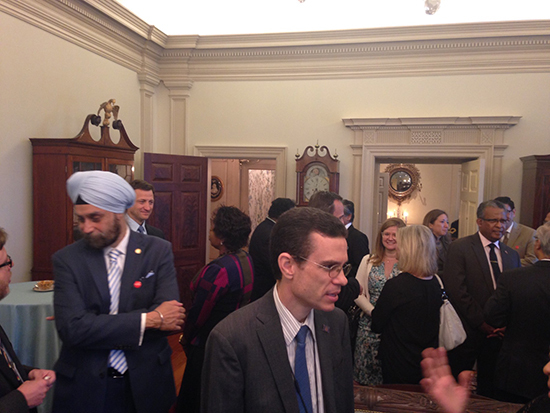 The State Department hosted the reception for a select group of well wishers of Sri Lanka, including U.S. government representatives, Washington-based foreign diplomats, and representatives from business establishments, civil society and non-governmental organizations, in honour of the Sri Lankan Ambassador who leaves the U.S. capital later this week to take up a new assignment as the Secretary of the Ministry of Foreign Affairs. Welcoming the Ambassador, Assistant Chief of Protocol Gladys Boluda recalled the Ambassador’s close association with the State Department in the past three years and remarked that the turnout at the reception was a statement to his accessibility to his peers and interlocutors at all times. Echoing a long-held view in the State Department that governments send their best to serve in Washington D.C., she said this was certainly justified in the case of Ambassador Kariyawasam, whose next assignment in Colombo further strengthened this claim. 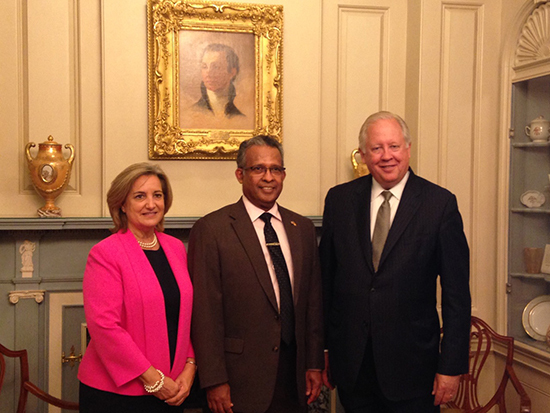 Under Secretary of State for Political Affairs, Ambassador Thomas Shannon observed that Ambassador Kariyawasam was witness to two transitions in administration during his tenure – one in Sri Lanka in 2015, the other in the U.S. in 2017 – and was able to navigate both skillfully for the benefit of both countries. He hailed the upward trajectory in bilateral relations and recalled the inaugural U.S. – Sri Lanka Partnership Dialogue in 2016 in which he and the Ambassador played a leading role to set up a structured framework for bilateral cooperation. 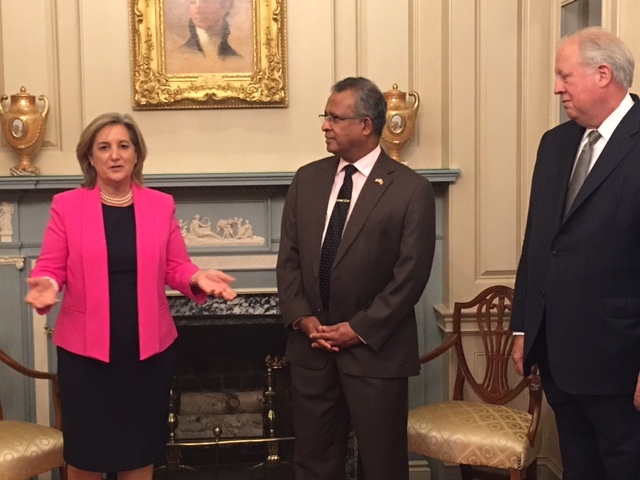 Under Secretary Shannon pointed to Sri Lanka’s significance as a key player in the U.S. Indian Ocean policy and alluded to the immense potential for expanding the bilateral partnership.